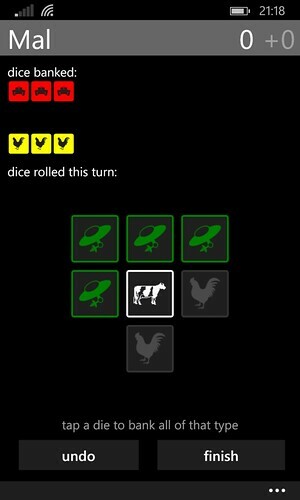 In addition to designing board games, I also do some work on board game related apps for my Windows Phone. My apps are listed below, they're free (and ad free!). 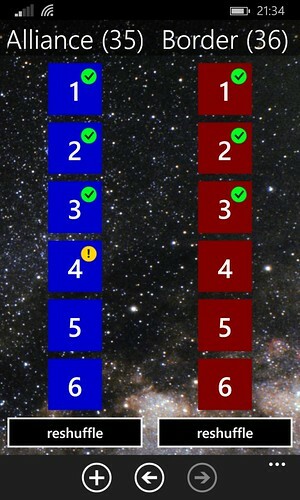 A pass and play Windows Phone implementation of the Martian Dice game designed by Scott Almes and published by Tasty Minstrel Games. In the game you play Martian raiding parties trying to collect humans, cows and chickens to determine the dominant life-form on planet Earth. Each round you try to collect as many earthlings as possible while ensuring you have enough death rays to defend yourself against the spirited defence provided by Earth's tanks. This app is not made or maintained by Tasty Minstrel Games, but it is released with their permission. Based on the awesome http://lastplays.herokuapp.com, this app lets you explore a BoardGameGeek user's games collection, and how long it's been since they played each of their games. It will cache their collection and plays information, so you don't need to wait for the BGG query each time you look at it, and allows you to select a cut-off date for highlighting dormant games. 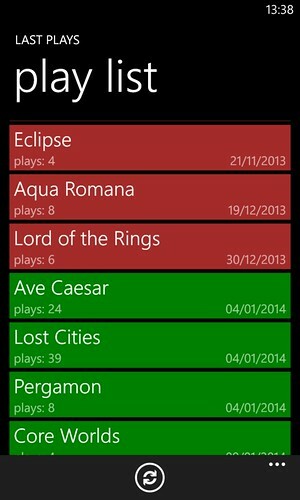 Any game that hasn't been played since the cut-off date will be highlighted in the UI and also on the live tile. Games that you don't want to include in the list or the stats can be hidden by double-tapping them in the list. They'll go grey, and will no longer appear after the next BGG query. You can show hidden games (or clear all the hidden games) from the settings page. Keep Flyin' is an app for use with Firefly: The Game published by Gale Force Nine. Keep Flyin' streamlines the Full Burn movement action in the game by reducing the number of cards you have to draw. The app keeps track of the number of Keep Flying cards that are left in your decks. Before using Keep Flyin' for the first time, go through both Nav decks in the game and remove all the Keep Flying cards, put these back in the box, they will not be used during the game. When you take a Full Burn action, choose the distance you want to move and click the appropriate button in either Alliance or Border space. If your move was successful, all the buttons up to that distance will gain a green tick icon. If your move was unsuccessful, one of the buttons will gain a yellow exclamation mark icon. Move through spaces up to that distance and then flip a card from the corresponding Nav deck to see what you encountered. If you can continue moving afterwards, just click another button.